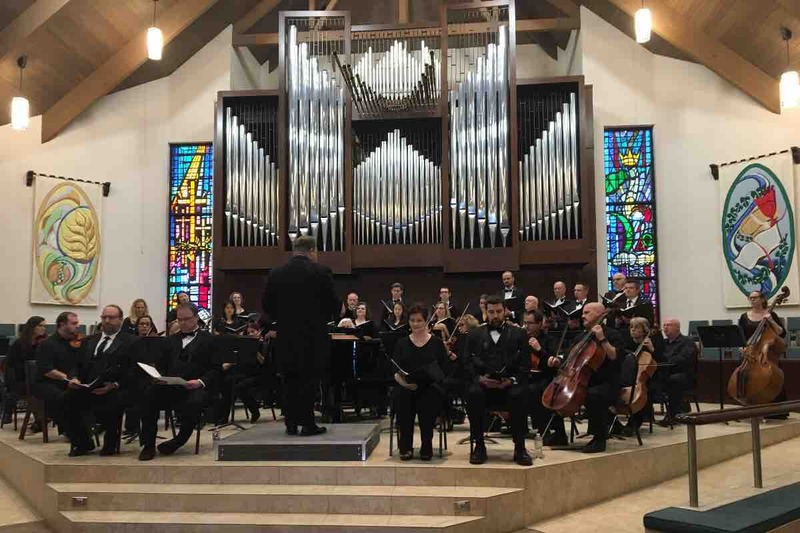 For the past 2 years I have had the honor of being the Composer-In-Residence for the MidCities Chamber Singers, a wonderful new choral group in the DFW Metroplex. The ensemble is directed by the founder, DJ Bulls. I have loved working with them: they are a fine group of musicians and performers, they have been so gracious to perform several of my works, and they are just all-around great people! On June 2, 2018 they had a recording session scheduled, which includes my cantata "The Good Samaritan." They are recording this with the Texas Chamber Music Project, another fine group of Dallas-Fort Worth musicians and educators. In addition, some of the finest vocalists in North Texas will be featured as well. I am very excited for this project! As a thank you to them for their hard work and commitment to performing my music at the highest level, I want to do whatever I can in helping them to finance this recording project. Funds raised will be used for the costs associated with recording, editing, mixing, marketing and packaging this project. If this is something you would be interested in helping support, it would be greatly appreciated by myself, Maestro Bulls, the MidCities Chamber Singers and the Texas Chamber Music Project. You would be helping to support new music and fine musicians; you would be a patron of the arts! To learn more about the MCS, click here . To learn more about the TCMP, click here . I will be running this campaign until the album is released. I'd love to have you join me in supporting the work of these great musicians! Thank you so much for your consideration! Have a blessed day! For the month of January 2019 I am offering a free t-shirt for any donation of $30. See pic below! 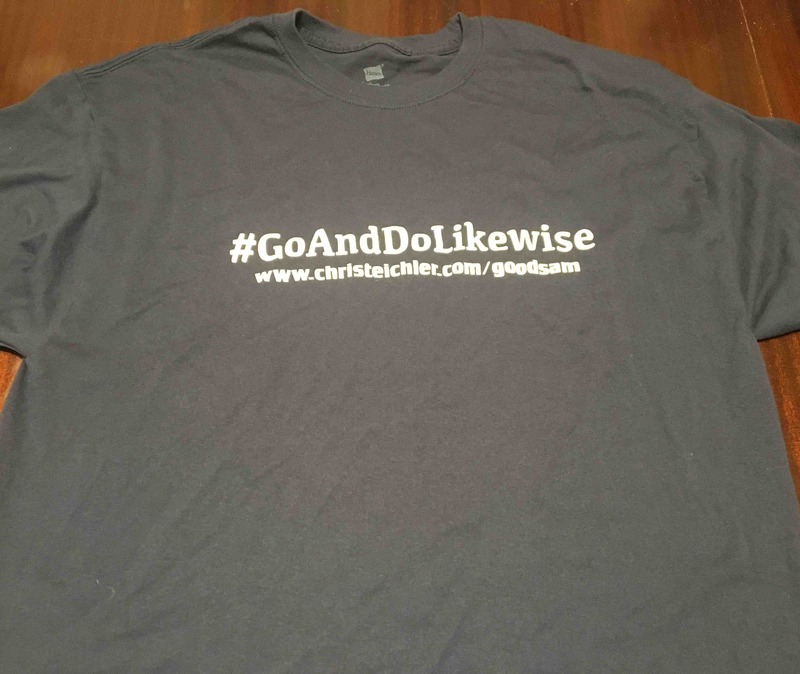 “Go and Do Likewise” was the phrase that motivated me to write the piece, the final word of instruction that Jesus gave in the telling of this parable. Please consider giving to the recording fund so the MidCities Chamber Singers can produce their recording of “The Good Samaritan!” Thank you for your support! Get a Shirt With a $30 donation! To get the recording out before the end of the year, we need to raise the funds in the next few days! My #830by830 idea is down to $785 by 8/30! For a final push to try and finish this by tomorrow, I've added some perks for donors! 1) $25 - A Free Download of my piano album "Communion Meditations. 2) $50 - The above and a free CD of "The Good Samaritan" when it is ready to go! 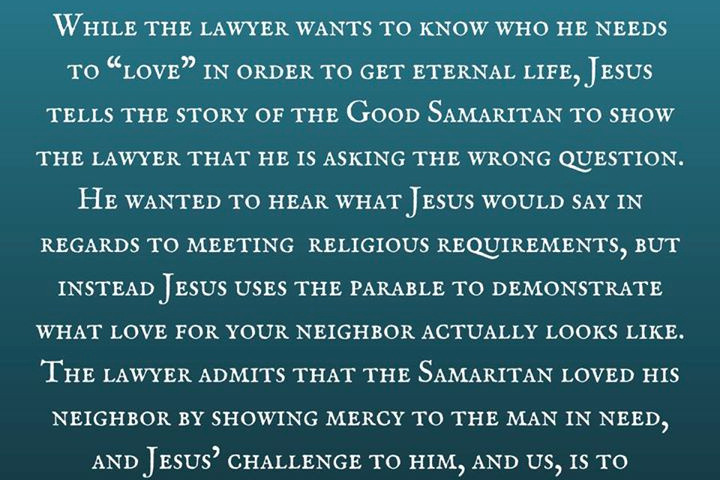 3) $100 - The above and your name included in "The Good Samaritan" liner notes! 4) $200 - The above and a PDF of one of my compositions of your choice! 5) $400 - The above and a signed copy of the full score for "The Good Samaritan!" Check out the video for more info. Thanks, everyone! We appreciate your support in getting this album out there! Thank you again for supporting this project! If you know anyone who would also support this album and it's message please feel free to share with them! Thanks so much for your contributions to "The Good Samaritan" recording! I wanted to give you a quick update. I talked with DJ Bulls today, the conductor of the MidCities Chamber Singers, and he's hoping that the recording will be available before the end of the year! Yay! We've still got some more funds to raise to pay the engineer and all the production fees, so I'm going to start a mini-campaign on that today, I'm calling it #830by830: Raise $830 by August 30 (8/30!). My original goal was to raise $1000 to help the choir pay for the recording, and was told today that this amount is pretty spot-on. Since $180 has been raised so far, $830 would just go over it. If you wouldn't mind sharing the campaign and/or telling friends and family that you think might be interested in helping, please feel free to spread the word! 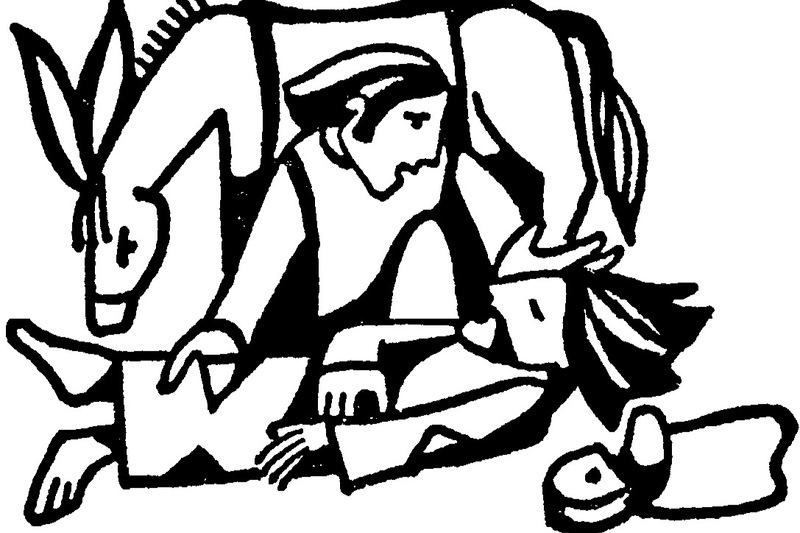 I really feel that "The Good Samaritan" has important things to say to our world today. Thanks for helping us get it out there!